On Oct. 8 the International Monetary Fund (IMF) formally introduced the Chinese Yuan into their basket of currencies making the RMB ripe for expansion as a viable trade currency. 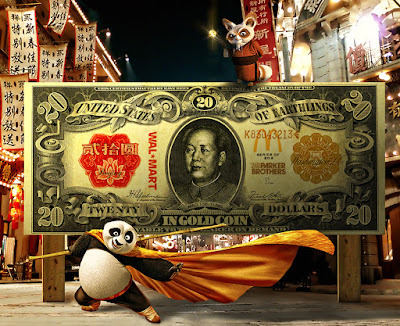 The IMF had already announced the acceptance of the Yuan into their monetary reserves more than two years ago, but this week the currency became fully adopted and on equal par with the dollar, euro, pound, and yen. The International Monetary Fund (IMF) this week officially gave green-lighted the acceptance of China’s currency – the Yuan – into the IMF’s foreign exchange basket. According to Reuters, this move paves the way for the IMF to place the yuan on a par with the US dollar. This is the latest in a series of global developments that threatens to eliminate the US dollar as the world’s reserve currency. Experts predict this announcement will trigger one of the most profound transfers of wealth in our lifetime. And now, the IMF has made the first move. As reported by The Wall Street Journal, the IMF officially green-lighted the acceptance of China’s currency – the Yuan – into the IMF’s foreign exchange basket. This marks the first time in history the IMF has expanded the number of currencies in the foreign exchange basket. This means that the Chinese currency will now become a viable global alternative to the US dollar. In addition to being added to the IMF's basket of currencies, China has also been given sole authority to sell IMF (SDR) bonds, which when coupled with the fact that they are already the world's largest banking entity means that transitioning the RMB into an international settlement currency is now just a mouse click away for Beijing.